They scale mountains, explore oceans, roam galaxies and build cars. They also shoot hoops and retrieve slippers. Labour unionists don’t like ‘em; Hollywood has made much of them. But we need them—they go where we can’t, do what we don’t want to. If something goes wrong, all that’s lost is a bunch of hardware. 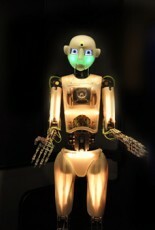 The word ‘robot’ was coined in 1920 by Czech playwright Karel Capek. He wrote the play R.U.R., about an Englishman who manufactured artificial human beings to do the arduous labour of the world so that real humans could pursue lives of leisure. ‘Robot’ is the Czech word for ‘forced workers or slaves’. ‘Amusing, but stunningly prescient. 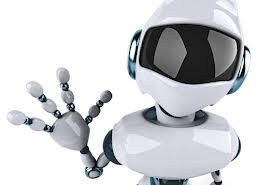 Today, robots gather information about their environment and use that information to follow instructions to do work. They move via locomotion and manipulation and are capable of planning their own actions. They have vision systems and three modes of sensing. They have voices and vocabularies. Their thought process is algorithmic (ours is heuristic) and, like all computers, they require explicit instructions for every task—nuance will jam ‘em. People have long been fascinated with the connection between man and machine. If you’re one of these people, you can check out an interactive exhibit opening May 27th at Vancouver’s Science World. 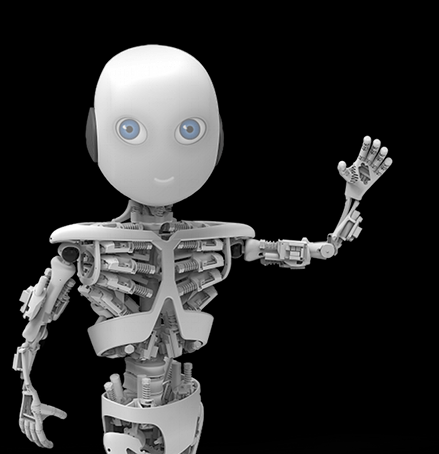 Robotics explores the similarities between humans and robots, and shows how robots sense, think and act. You’ll see how robots increase productivity, create a safer workplace, provide high-end career opportunities and enrich lives. H.G. Wells would be so proud. This entry was posted in Art, Museum & Gallery Exhibits and tagged Analog Science Fiction and Fact, Asimov, Astounding Science Fiction, Czech, Fundamental Laws of Robotics, H. G. Wells, Hephaistos, Hollywood, Human, Iliad, Isaac Asimov, Karel Čapek, R.U.R., Robot, Robotics, Three Laws of Robotics.